If you are looking for ballet classes over the summer for year olds in Charlotte, then check out Dancers Unite’s summer program! 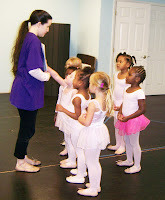 We have multiple sessions for our dance classes for 4 year olds which include ballet. It is a great way for 4 year olds to keep dancing over the summer or to start ballet for the first time. For more information, please see our Summer Dance Class Page.